← Learn How to Provide Digital Marketing and SEO Services & Earn $75 an Hour! While being a stay-at-home mom is plenty of work, lots of SAHMs will also find ways to earn a little bit of money working from home. The problem is, most of the time the work they do, doesn’t pay well. And the flexibility required in a day makes finding better-paying jobs difficult. Your time is far more valuable, and it’s possible to do work that works with your schedule. 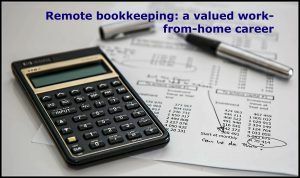 Pay and flexibility are just a few reasons why remote bookkeeping is one of the best work from home careers. First, What Does a Bookkeeper Do? Bookkeepers keep businesses financial records in tip-top shape. Similar to how SAHMs are often keeping their household finances in order, think of bookkeeping as doing the same thing but on a larger scale. Bookkeepers keep track of documents related to transactions, maintain the financial records, and make sure the business is prepared and ready come tax time. Most bookkeepers only do the tracking and reporting part. They record transactions and report them each month by handing the business owner a financial report (which most don’t really understand). Good bookkeepers also act as interpreters to explain that report and it’s impact on the business. And great bookkeepers take it to the next level and guides the business owner on how to use that information to make their client’s business more successful, lean, and profitable. Since nearly everything financial can now be done or at least tracked online, this work translates well to being done remotely. Think about it: between mobile banking, receipts being emailed, and the ease of transferring funds on your desktop, how often do you need to go to the bank? While a business’ financials are more complicated than you personal finances, technology has eliminated the need to have a bookkeeper in the office. Stay-at-home moms are great at planning, but because of life and kids, it means they are also great at pivoting, adjusting and coming up with a new plan on the fly. One of the reasons remote bookkeeping is a great work-from-home career is that you control your schedule. If something comes up, you don’t have to call in sick or even skip work altogether. You can always do work later that day when things calm down. So long as you can mark where you left off and kept detailed notes, dealing with numbers and financials can lend itself well to doing the work in spurts when you have the time. One of the only times you may need to make sure you set aside time during the day is when communicating with clients. Even then you can schedule that time or those calls around a schedule that will work best for you. New businesses are started every day; chances are most of them have no clue how to handle their finances. If seeking out clients directly seems like a bit too much work, then there are hundreds if not thousands of job postings online where they are specifically seeking out remote bookkeepers. Since geography doesn’t limit you, you can find clients anywhere. Or if you want to work with local businesses that is an option too, just because you work from home doesn’t mean your customer has to be three thousand miles away. Remote Bookkeeping is a skill that translates no matter how close or far away your clients are; there are opportunities everywhere. While you certainly have the choice to work for other bookkeeping businesses remotely, you can easily start your own remote bookkeeping business allowing you full control in every aspect of your work. Including choosing your clients, how much you want to work, and how much you will earn. A quick search on google shows remote bookkeeping work earning a wide range of amounts often times anywhere from $12-$45 an hour. Though for those that run their own business and are great bookkeepers (or hire great bookkeepers), their hourly rate can be as high $62 per hour on average. It will be up to you to decide and negotiate your rates, just make sure you feel like you are being paid for the value you provide as a bookkeeper. Unlike freelance writing where nearly everyone has at least some writing experience before getting into freelancing, bookkeeping may not have been something you’ve done before. Fortunately, any experience you have with handling your finances means you know how money and bank accounts work. As for accounting principles, proper record keeping, and ensuring a business is ready when the time comes to do their taxes; these are all things you can learn. Ben Robinson of learntobeabookkeeper.com has an excellent free training that will introduce you to the world of bookkeeping and running your own bookkeeping business. 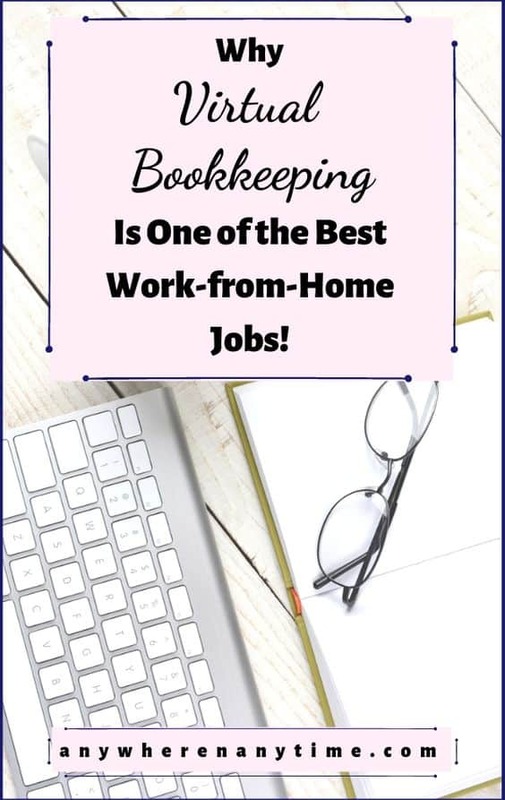 While there are tons of online resources, never discount your library and the books they have (perhaps even online) to help you learn about how to be a fantastic bookkeeper. If you don’t want to face a lot of trial and error in teaching yourself bookkeeping and are willing to invest a bit of money you can take a course on the subject. The cost of these courses can range from a few hundred dollars to a few thousand dollars. While investing $1000 into a course may seem like a lot, if by the end you are earning $62 an hour, you would only have to work for 17 hours for the course to have paid for itself. That is just over 4 hours a week for a month, and you will have earned back what you spent on the course. Just as you had the choice to work for other bookkeeping businesses or start your own, if you start your own, you can hire those that chose to work for others. Callie Sitek is an SAHM that took a course on becoming and running a bookkeeping business. 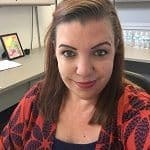 She built up her business and now focuses more on running her successful bookkeeping business with employees doing the bookkeeping of her clients. Companies will always need bookkeepers. You may end up loving bookkeeping and make it a long-term work-from-home career. Or you may eventually move away from doing actual bookkeeping work and just work from home running your business. Either way, the opportunities to change and grow is why remote bookkeeping is one of the best work from home careers. This career does require work. There is no doubt about that. But how does it sound? Do you have any experience? Any questions? Any thoughts to share? No doubt it requires work. And it does work (to provide you with work.) Especially if you are an expert at MS Excel. Yes, Denise, bookkeeping does require work. And as you said, it provides you with work that can bring a decent income if you do it right. Knowing Excel does help and Ben course teaches you all the other techniques and short cuts you can use to automate your bookkeeping business as much as possible to make the best use of your time. Great article. I think that one of the most important aspects of success – to adhere to a set schedule. Many ppl that I speak with fail at this. Love your content!